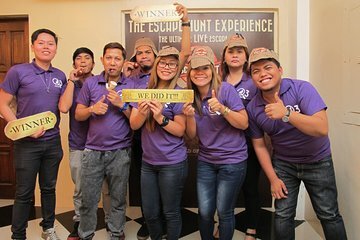 Take time out from sightseeing and participate in the Escape Hunt Experience Manila, a live escape game. Book your preferred day and time in advance to avoid sold-out times, and hunker down with your private party to solve the mystery through puzzles and messages. Immerse yourself in the theme, imagining yourself a London detective on the case. This was a lot of fun! We chose the most difficult level and did not solve the mystery, but we had a good time. Def recommend for groups!